I'm no Michael Rosen....but then who is? But I'm really looking forward to a great morning! (If there's time after, we may just read another 'hunting' story that's a bit quieter. We're Going On A Bear Hunt....for 25 Years! I know everyone out there knows this book... We're Going On A Bear Hunt is 25 years old! So much fun and all the kids love it (Sometimes to the complete distraction of their parents and teachers.) To say Happy Birthday to We're Going on a Bear Hunt; here's a video of the completely fantastic Michael Rosen performing the book that he 'helped make' and has given so much joy to all of us children (big and small) everywhere. Now, everybody! All together now! And here are the lists. Better get reading! 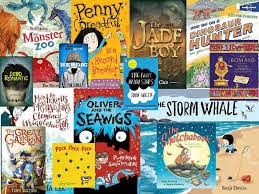 Remember: this award is voted on by YOU, the readers, so have a good read of the shortlist and cast your votes on the Booktrust website by 20th of June. 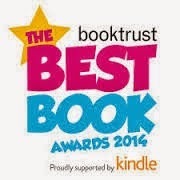 Just follow the link below and register with the Booktrust site. By the way, there is tons of other information that Booktrust puts out there. If you love children's literature and want to see every child reading, this is a great site to be in touch with! The Waterstones Children's Book Prize 2014 celebrated it's 10th year on Thursday, 3rd of April (this is a little belated, I know...apologies) at a ceremony at it's London Piccadilly flagship store with festivities surrounding the announcement of this years' winners. 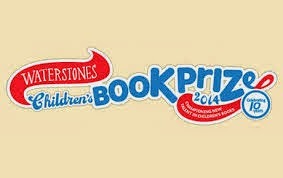 The prize celebrates new and emerging talent in the field of childrens' literature. Uniquely, this is the only childrens' literature award that is voted for solely by booksellers. So, take a bow, my comrades in the trade; you have chosen very well, indeed. 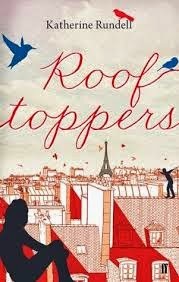 Rooftoppers tells the story of Sophie, believed to be an orphan after a tragic shipwreck left her, a small baby, floating in the English Chanel in a cello case. But Sophie believes there is still a chance her mother may have survived. When the Welfare Agency writes, threatening to send Sophie to an orphanage, she takes matters into her own hands. She flees Paris to seek out her mother on her own. Beautiful, lyrical writing and a compelling story about a determined heroine set this novel apart. Simply wonderful! A totally grumpy crocodile has fallen into the wrong storybook! He is furious! 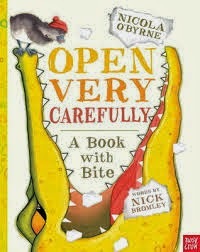 And he begins to eat his way out; chewing on the pictures, gobbling up the letters.... Are you brave enough to take a peek, or will you slam the book and put it back on the shelf forever more? 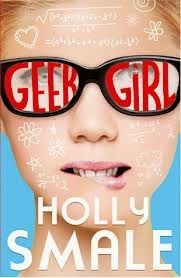 Brainy geek Harriet Manners is spotted by a modelling agency and lunges at the chance to reinvent herself; from freaky geek to beauty queen. Even if it means hurting her best friend and lying to the people she loves. Easy to follow, fantastically funny and wonderfully engaging. Congratulations to you all! Well-done! It's Nearly CBI Conference Time! 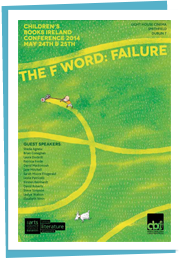 A debut writers panel featuring O’Brien Press author Sheila Agnew (Evie Brooks: Marooned in Manhattan), Irish novelist Sarah Moore Fitzgerald (Back to Blackbrick) and American novelist Leslye Walton (The Strange and Beautiful Sorrows of Ava Lavender). Happy April everyone! 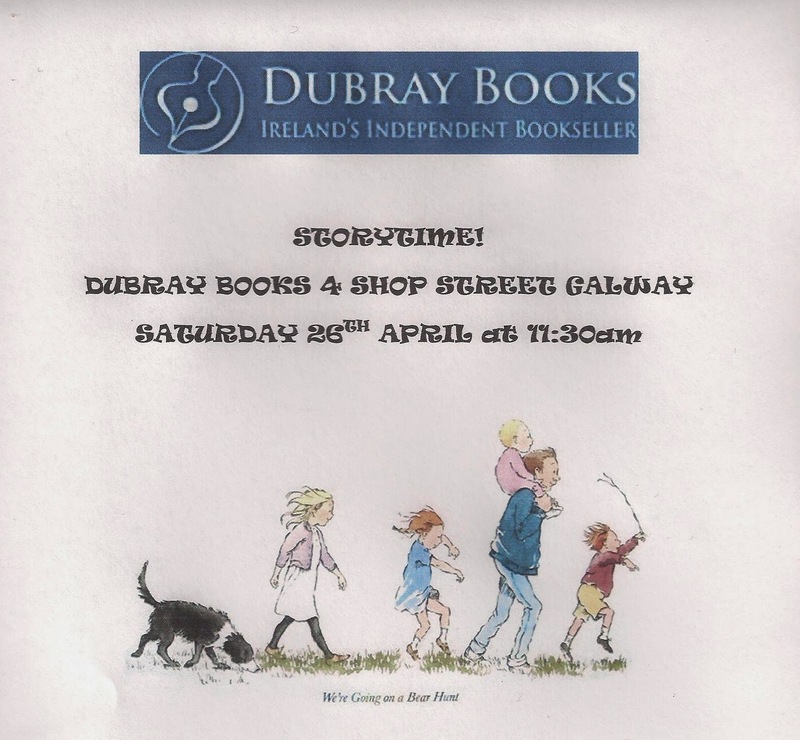 Spring is here and, as usual, there is much happening in the world of children's books. 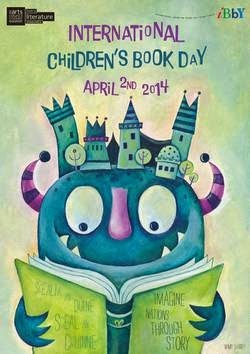 Today, April 2nd, is International Children's Book Day! April 2nd is Hans Christian Andersens' birthday, and every year since 1967, this day has been marked as the day to celebrate and call attention to children's books and to continue to inspire a love of reading in the world. Each year, the International Board on Books for Young People (IBBY)designates a different country to sponsor the day and create excitement through a specific theme. This year, Ireland is the sponsor and the theme is Imagine Nations Through A Story. There is huge scope for learning and understanding within this theme. "...the reader is just as important to the story as the writer. There is only one writer for each story, but there are hundreds or thousands, or maybe even millions of readers, in the writers own language, or perhaps even translated into many languages.Without the writer the story would never be born; but without all the thousands of readers around the world, the story would never get to live all the lives it can live...."
So true; so very true. And that is just a small part of the magic of reading For children, even more for all of the grown-ups in the world, the difference reading can make in their own lives and the life of the world, is immeasurable. 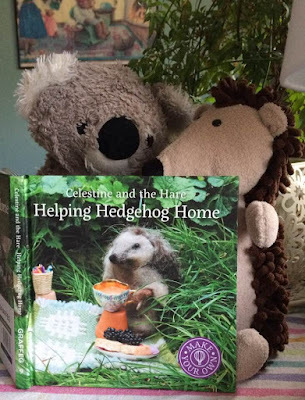 My challenge to you for International Children's Book Day (and for the rest of the month) is to read a book with your child(ren) that you might not have considered before; one that speaks to the lives and imaginations of somewhere other than where you live. Translations are freely available everywhere now, so you, too, can experience a different place and time than your own. Trust me...you'll be so glad you did!